A-ha Moments: What They Are and Why They Matter Now. Our New Website is Here. Careful Mortar watchers (that’d be both of you, so listen up) will have caught the stealthy launch of the new Mortar website on the very last day of 2016. 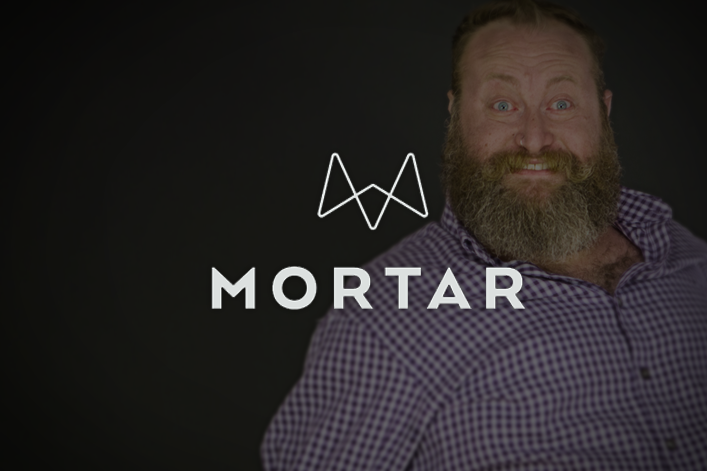 Now I realize this will come as a shock to the rest of you, but THERE IS A NEW MORTAR WEBSITE! THE BACON IS GONE. We’ve replaced the pile of pork with a simple insight: most of the time small ideas beat big. And marketers still don’t spend enough time aiming at the emotional impact they want to have on their customers. We forget our job is to amaze and delight. There’s a lot to say about our companies, our products, our vision, and our contribution to the planet. So much that we forget we actually want people to buy our thing. And for that to happen we must first get their attention. The simple pressure of communicating what’s important to us overwhelms our need to prick the needle of delight. People don’t actually buy ideas until late in the funnel. At first they buy delight. Joy. Fun. Awesome. A client of ours spent hundreds of thousands and months researching why people came to her organization only to find that her customers were looking for fun. Fun? Not an educational experience? Or a new perspective? Or to be a better citizen. Just a plain old great way to kill a few hours and giggle. You see, great marketing promises a result. If you haven’t defined how you want people to react when they hear of you then you are not ready to go to market. (Doubt me? Dig out a recent agency brief and scour it for something resembling the A-ha Moment you want your customers to experience). Small is easier and simpler than Big. Big is bold. Big is dramatic. Big costs money and time. Big requires hard thinking, consensus, commitment and a willingness to change. Big is thus hard. For most, Big is simply too hard. Small? Small is easy to find. Easy to execute. Easy to change. Easy to replicate. Easy to test and adjust. And Small is not hard on a CEO who changes his mind, like, well, every week. (Which BTW is most of us now.) Nevertheless the right small idea can have immense power (hello Uber, who spun a small app into a revolution in global transportation). For many of us, the future is about finding and exploiting A-ha Moments. We’ve gathered some of our best A-ha Moments on our new site. Take a look and see if you might benefit from thinking smaller in 2017. – This article was originally published on LinkedIn.